Well, I don’t think the verbs are actually happy. I only said that to attract your attention. But verbs do have moods. And I used the word “moods” to draw your attention, too. But it’s true that verbs have moods, though we also call them modes. If the following seems boring, jump down to the subjunctive part because that’s the really significant element, which most people don’t seem to understand. Indicative mood is a fancy name for the ordinary declarative mood. Joe pays his agent 15 percent of his earnings. His mother takes 20 percent for his room and board. Conditional mood puts a condition on the execution of the verb action by using a helper/ancillary verb. The dog might bite you. I would do that if James came with. We could go if you invited us. Now comes the real reason I put all this together because here’s where all the mistakes are made...with subjunctive, which is a kind of conditional mood. If I was the man in the moon, I would bring you up to live with me there. Incorrect because the verb should be in the subjunctive mood. The statement is obviously mere fantasy. If I were the man in the moon, I would bring you up to live with me there. Correct. That’s the subjunctive for the “to be” (singular) past tense. If I was an undercover agent, would you like me less? Correct if we don’t know whether the “I” individual might be an undercover agent and he/she might be—or we (the readers) may know that he is. That’s the most important subjunctive use in terms of mistakes often made, though we have a few others that I refuse to go into. I started to, but writing about it got too complex, and I hardly see any mistakes in the other formats, making the question merely academic. So there. 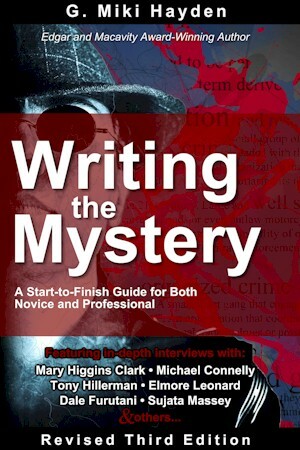 If I were the head of the English department of a large university, I would make everyone taking an English class buy my recently released third edition of Writing the Mystery: A Start to Finish Guide for Both Novice and Professional. Correct. I would, but I’m not. You can go to Amazon anyway. A source also tells THR that Lubliner is bringing with him the following clients: About a Boy co-writers and brothers Chris and Paul Weitz, Beatriz at Dinnerdirector Miguel Arteta, Detective Pikachu director/co-writer Rob Letterman and Juliet, Naked co-writer Jim Taylor, among others. 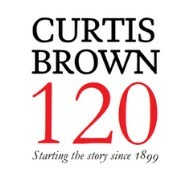 Curtis Brown is to celebrate its 120th birthday with a series of events spearheaded by a team of young agents, culminating in the Curtis Brown 120 Novel Writing Prize. Founded in 1899 by Albert Curtis Brown, one of the UK’s longest running independent literary agencies. This year Curtis Brown plans to “celebrate its heritage and offer a unique opportunity to the future.” Agents including Lisa Babalis, Becky Brown, Catherine Cho, Lucy Morris and Norah Perkins will help lead the year's events. The celebrations will culminate in the Curtis Brown 120 Novel Writing Prize, a mission to find the voices of the future, launched in partnership with the Curtis Brown Creative writing school. The prize will be open to novels both finished and unfinished, across all genres of adult fiction. Details of judging panels, process, prizes and submission dates will be revealed in April. No science fiction, academic books, scripts, or poetry. Submit online through form on website. No postal submissions. See website for full guidelines. No science fiction (unless literary) and no fantasy or children's. Submit via website submission form. Becoming a published author is something a whole lot of people want to do--but very few people actually cross the finish line with a quality book they can be proud of. Last year I wrote two novels. One has already been published by a small, independent publisher based in the Midwest. The second is another novel that will be published by a different publisher based in Austin, Texas. Writing novels is a strange and incredibly difficult way to become a published author. There is no feeling more awkward than having to lie to your friends and family about what's based on real-life events and what isn't. That said, regardless of what type of book you write, writing books is really, really, really hard. 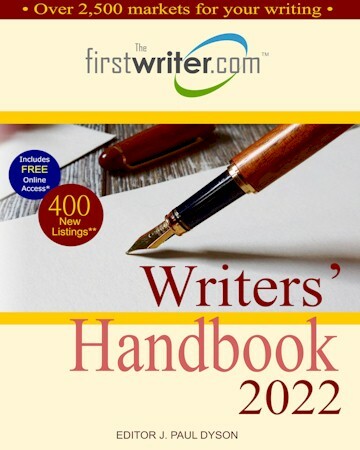 In the opening days of 2019, the publishing industry is looking towards the future. Popular predictions include the continued rise of audiobooks, political non-fiction, books clubs and the niche subscription service model. But the past still has a lot to say. 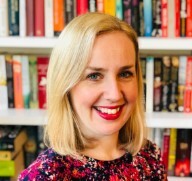 Here are what fascinating publishing industry insights were just revealed by a new list of the U.K.'s top 100 print bestsellers across fiction and non-fiction alike.